India is a land of worship and celebration. We as a people of India have been a part of a culture that promotes celebration which brings joy and pride. In this fall of the year, Navratri is in the corner. Chaitra Navratri is a propitious Hindu festival which is only dedicated to the reverence of Goddess Durga. The ceremony holds a lot of significance for the entire nation and Hindu communities. Navratri itself symbolizes victory over evil. The occasion begins with Ghatasthapana which is a traditional ritual and is celebrated with great enthusiasm and faith. Some people fast during the nine days of the festival and this festival resembles the power of female and her aggression to defeat evil. Navratri word is derived from ‘Nav’ means nine and ‘Ratri’ means night in Sanskrit, hence ‘Navratri’ means nine nights of festivity, during which nine forms of goddesses are worshiped. This festival is celebrated on the victory of goddesses Durga over the evil demon Mahishasura. Chaitra Navratri brings the strength to defeat evil. This festival has a significant importance to humankind. Chaitra Navratri symbolizes the beginning of the Hindu New Year which marks the commencement of the spring season. Devotees worship the three main manifestations of Goddess Shakti i.e Durga, Saraswati and Lakshmi to seek their divine blessings. 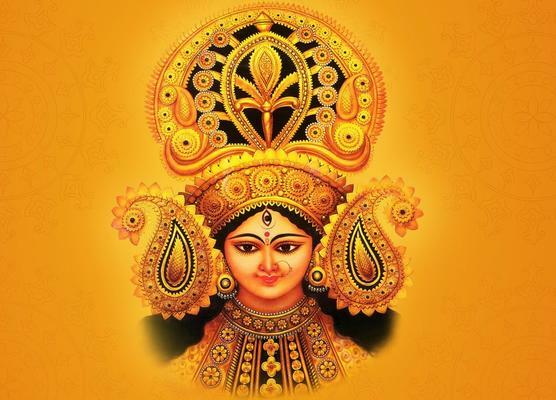 Hope Goddess Durga showers her powerful blessings on everyone. Happy Chaitra Navratri to everyone! Navratri Festival: Are You Fasting or Feasting?